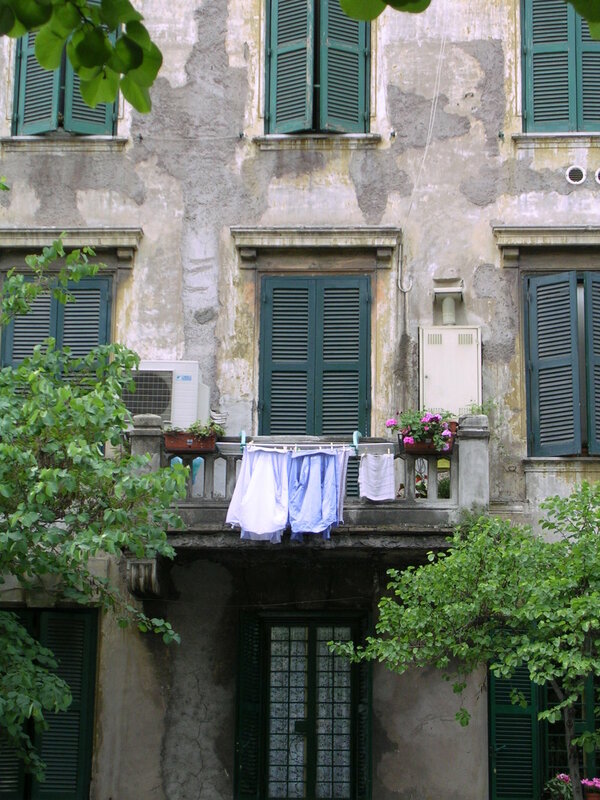 Italy is a land of traditions and fun-to-embrace superstitions. As in many cultures, some of these relate to the beginning of a new year and finding good luck, love, and fortune in the coming months - and who doesn't want all that? One tradition, the wearing of new red underwear, is said to bring romance and even fertility in the coming year. Store windows display pretty red underthings that are supposed to be given as gifts and worn just on New Year’s Eve (I’m not sure if this is an old superstition or just a good marketing tool). In a pinch, a red article of clothing seems a reasonable compromise. In the spirit of “out with the old to make room for the new,” getting rid of old things by tossing them out the window is an old tradition that I have never encountered, though I’ve heard it still happens in small towns in southern Italy If visiting there on New Year’s Eve, be prepared to duck! Maybe we should just toss out old problems and outdated ways of doing things instead? It is also said that the first person you see in the new year will determine the type of year it will be. Good luck follows if you meet an elderly person (if of the opposite gender - or a hunchback - that’s even better), but worry if you first encounter a child or a priest. Winter skies in Lucca - starting the new year here makes me feel pretty lucky! Rome window, 1996. I hope to visit here in 2019.